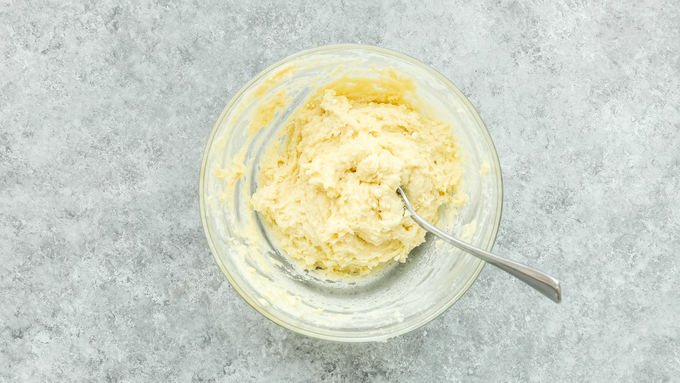 In medium bowl, stir together Bisquick™ mix, 2 tablespoons sugar, milk and melted butter until dough forms. In cast iron skillet over medium heat, mix peaches, 1/3 cup sugar, lemon juice and cinnamon. Combine water and cornstarch in a small bowl and add to the peach mixture. Bring to boil and stir constantly for 1 minute. Drop dough by tablespoonfuls onto the hot peach mixture. Sprinkle 1 more tablespoon of sugar over the dough, if desired. Bake 20-25 minutes, or until golden brown. When ready to serve, drizzle with dulce de leche. Canned dulce de leche can be found in the international isle of any grocery store. 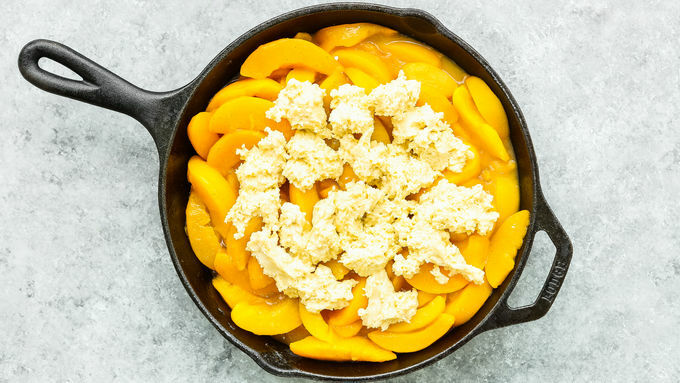 This dessert has two of my all-time favorite flavors together, peaches and dulce de leche. The result is a dessert with a taste that’s perfectly balanced and totally irresistible! 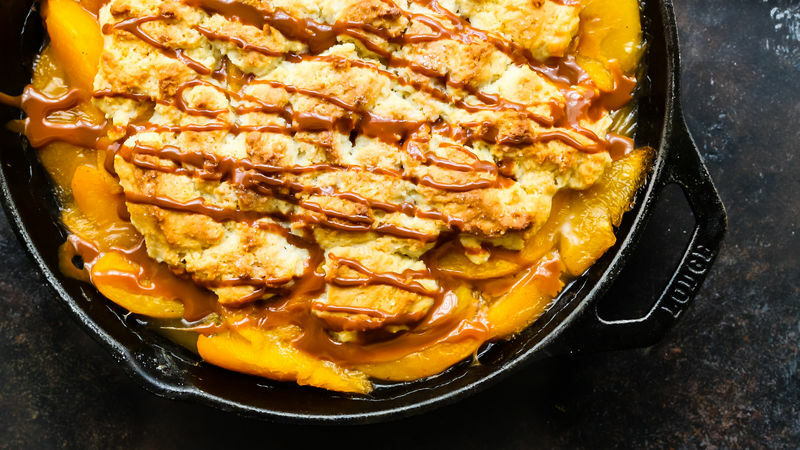 Peach season is fast approaching so this Skillet Peach Cobbler with Dulce de Leche sounded like the perfect recipe to share with you all. Plus, what could be a better ending to a summertime meal than easy peach cobbler, right? A tasty summer dessert that comes together with little effort and tastes amazingly delicious. Enjoy!